I’ve been the Civil Service race champion for a year now. It’s a role that has introduced me to civil servants from dozens of different departments and in many regions of the country. I have met people from all backgrounds, cultures and communities who know that things must change for black and ethnic minority civil servants. They know that the Civil Service must become better at recognising, nurturing and appealing to black talent. They know that this must happen quickly. And mostly they are optimistic. They see that we are doing lots of hard work: investing in talent programmes, making promotions fairer, encouraging role models. They have read the Talent Action Plan. They know that this is a Cabinet Secretary priority. They have heard that the Civil Service is introducing an anonymised application process. I am also mostly optimistic, for all those reasons. We are an organisation with the right values and leadership, and we have in hand a programme that can enable us to become the best and most inclusive employer in the UK. But the optimism is not universal – neither mine, nor that of the many staff I meet and talk to. The observation I hear most often is that for a real difference to come about, our culture has to change. The scarcely perceptible cues and assumptions that make some people feel undervalued or ignored. The apparent bias that we see in some performance markings. The tendency of some promotion panels to play safe and to make appointments in their own likeness. The general reluctance to talk or inquire about race. If you’ve read this far into a blog post about race in the Civil Service, it’s likely that you think this is important. I agree! So what can we all do, together or individually, to nudge our culture in the right direction? Here are a few suggestions, whatever your race or ethnicity or community. Talk about race. Encourage others to talk about it. Maybe arrange a viewing of Jane Elliott’s “Brown Eyes, Blue Eyes” video at your next team meeting. This is a behavioural exercise in which 30 people are placed into two groups based on their eye colour. It’s pretty uncomfortable, and not everyone likes the exercise or Jane Elliott’s method of haranguing people. It is challenging. I guarantee it will stimulate a lively discussion. Get yourself invited to a meeting of your BAME staff network. Find out what your department looks like from someone else’s point of view. During this Parliament, the Civil Service will continue to change in shape and size. Most departments will continue to get smaller. This is totally compatible with increasing the diversity of our workforce, but only if we are careful about how we downsize. There is quantitative evidence in some departments that BAME civil servants are, on average, scored lower in the annual performance management box marking system – fewer in the top box, more in the bottom box. This isn’t found everywhere, and where it is found there is no one reason for this. There are local and demographic differences between our many workforces. But it’s reasonable to conclude that unconscious bias may be one factor in some departments – bias in how we prescribe competences, or assess performance. Some departments, and a growing number of civil servants, have invested time and thought into this issue of bias. We are much more aware than we used to be about the various biases to which we are all subject, and how we can counter their effect. We must continue this effort. On performance markings specifically, there is good practice around that running box markings through diversity panels (like at HM Treasury) helps. Staff networks can help too: MoJ’s BAME network are organising workshops to share good practice in the performance management system. Meanwhile, we must always be careful in how we use performance data when we make decisions about colleagues. The picture of an individual’s capability and potential is never contained solely in their historical performance markings. Managing organisational change and downsizing are some of the most important and difficult tasks we face. In the end, decisions about who stays and who is released are for permanent secretaries and executive teams. I hope my colleagues across the Civil Service will join me in making a commitment to champion diversity as we become smaller. That would be an achievement reflecting the best of who we are and what we care about. the permission to talk about race is a really important one and it is great message to hear from our Perm secretary-thank you. My faith is growing that others in Senior positions in MoJ will feel enabled to rally behind your authentic desire to see change but we need greater pace behind this and we need accountable measures and outcomes. We can become a Data and MI rich organisation however my eyes provided all the data we/I need at a recent event of 200 top leaders that we have long way to go to see a proportionate presence of faces that were not like my own. Please keep pressing this issue home Mr Heaton-give DG's and the SCS the licence they need. For example name blind recruitment -why not use its principles on non external exercises? External recruitment will be thin and the internal exercises we undertake are arguably more susceptible to bias being applied. You have great champions out there in MoJ and personally speaking you have restored and renewed some of my faith in change. I think phrases like 'unconscious bias' and 'scarcely perceptible cues and assumptions' suggest that blatant racism doesn't exist. It does. I'm half black but I look white. Occasionally white people say things in front of me that they wouldn't dream of saying if there was a black person in the room. Discrimination is a result of ignorance as well as unconscious bias. Richard ,good blog with some tips on what we can all do individually and collectively. At BIS we arranged an event to talk confidently about diversity and race. We learnt the importance of talking about diversity issues rather than just worrying if we were politically correct. Looking forward to meeting you tomorrow! There's a lot to read here, which I hope to do before then. Regards, John. All really good tips Richard. We have started to make some progress with this agenda, however, 50 years since the Race Relations Act, there is still a lot of work to be done. We have seem commitment from a number of our Senior Leaders, however the same commitment needs to flow down to the "shop floor". More accountability is required at middle management, this is the place where employees face barriers. Staff Networks and role models play an integral part in changing the culture in our organisations. I also think we need to review the data around BAME and split the group down further; representation of some ethnicities in this group do so much better than others and we need to understand why. Echoing Sean's comment above, keep pressing these issues relentlessly till we begin to see tangible changes. I welcome Richard's comments particularly around managing organisational change and downsizing. I hope that other leaders will follow his personal commitment to champion diversity as the civil service becomes smaller. 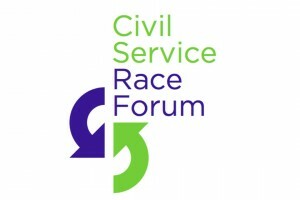 As co Chair of the Civil Service Race Forum (the umbrella organisation of Civil Service Race Networks) I would echo Richard's comments on getting involved with your BAME network, we welcome greater participation from non BAME colleagues. Richard as Civil Service Race Champion you have definitely mastered the issues and it is clear you are committed to providing the platform and interventions to help improve fairness and diversity. Our policies and procedures have always been for the best of intentions however, years of lower progress reflected in the general nature of the jobs carried out by BME staff coupled with continuously poor appraisal markings is a reflection they alone will not move the agenda forward. Staff networks like Proud and Respect in the MoJ have a very important role to play in working with executive management and i hope that you and your senior teams can find the ways to keep progressing the agenda. Withdrawing funds under the belt tightening regimes has curtailed developmental initiatives and set networks back in recent years. Finance will help us work with experts in the field of D&I to supplement internal actions. I want to be positive about the future and i feel your tenure at the helm can, with the support and assistance of the networks help realise the contributions and potential of a community in the civil service which has for so long been less than it can be. This article is whole-hearted and reflective and it’s pleasing for me to read, so this is appreciated Richard. I believe for us to truly embrace diversity as a creative force of change, one step at a time. Without a doubt the most powerful forces in business and cultural change remains open dialogue and intelligence. Intelligence, leadership and deep rooted beliefs can and will transformer equality. Thank you for the encouragement and the practical suggestions, this feels right and a positive direction to talk about race openly from yourself. Please let’s keep the light burning on this issue and continue to talk and educate all about Equality. Unconscious Bias what a theme name! and It is always a tune that keeps playing! The first time I heard about unconscious bias was back in the Prison Service HQ's where presentation on top of presentations were delivered in this subject. Very pleased that Richard's enthusiam is behind this subject, and is a definite eye opener to people's behaviour. The culture of the Civil Service is always changing and hope in generations to come this will be a fairer and non judgemental place work for. Firstly, thank you for sharing your progressive vision for a fairer civil service. Your clear commitment to deliver on our shared diversity and inclusion [D&I] agenda is both engaging and inspiring. Having also heard you speak on these issues in both your capacity as the civil service Race Champion and, more recently, as our Perm Sec here at the MoJ, I am encouraged by your authentic leadership and early determination to hear from key stakeholders, including intrinsic owners. Whilst a full note of those discussions and proposed actions are now available via respective business plans for PROUD & RESPECT, both networks await the forthcoming launch of MoJ’s D&I Action Plan before conducting an exercise in aligning effort in support of those Corporate goals. 1] Allocate dedicated resources [staff and budget] to diversity staff networks. 2] Invite targeted expressions of interest from under-represented Groups. 3] Send and publish a message to all SCS to support diversity staff network activity. 4] Set mandatory D&I objectives for all SCS staff. 5] Prioritise and track support and post programme deployment of staff graduating from positive action development programmes. I also know that both PROUD & RESPECT welcome the advent of ‘Upward Mentoring’ aka Reverse Mentoring or Mutual Mentoring, as a practicable way of encouraging inclusion. A pilot programme is being rolled out in the MoJ. MoJ's BAME Staff Networks - PROUD & RESPECT - have been around for fifteen years with a fluctuating membership often linked to similar fluctuations in resourcing. Both of these networks are active members of the Civil Service Race Forum – which now hears from over 25 different departments on these issues. It was the PROUD Staff network that brought ‘Brown Eyes, Blue Eyes’ [Jane Elliott] to the MoJ and there are a lot more eye opening opportunities where that came from. My own experience as a civil servant [32yrs and counting] has convinced me that where; the rules are made public, the playing field even and results published [tracked and acted upon], diversity increases, inclusion improves and the business thrives. Let’s work together to ensure more of THAT happens, because we can!!! Richard, Thank you for a useful update. I would cettainly agree that the Talent Action Plan and the Refresh in March 2015 are a significant step in the right direction. Also, I have been in the FCO / FCO Services for 24 years and observed a significant change in mindset and attitiude. However, it is refreshing that you have been honest to acknowledge that whilst some progress has been made, there is still much to be done if we are achieve the goals set out in the plan and have in place a workforce that is truely diverse and reflects modern society. I would agree with Kul Bassi that it is only through collaborative working between the various Staff Associations / Groups and Senior Management that tangible outcomes will be achieved. So I would encourage colleagues that feel so passionate about Diversity and Inclusion and are seeking to make a diffrence to get involved and support these groups. May I conclude by saying a big Thank you to Richard for his support at such a Senior level. At a time of such daunting change across the Civil Service I chat to so many friends who think we will repeat many of the same mistakes - talented people will leave, group-think will run away with itself, and we will be less open and diverse as a result of top down, 'imposed', change. It is, therefore, refreshing to read that someone at the very top has such a confident commitment to these sort of values, and a leadership based on those values. The next challenge is surely to land this message with those senior leaders who haven't bought into this agenda with any energy. But, a starting point is having a champion who values the right things and will take the fight to the unconvinced. Thank you for your enthusiasm and passion about diversity. Once upon a time I too used to be passionate about diversity. Now I look at diversity agenda cynically as new jargons are invented to tackle the same old story eg 'unconscious bias', 'diversity champions'. We are not short of jargons in the civil service world but what do they all mean. When an organisation shows 45% of it's staff out of 99 in' development need' are from BAMEs, you need to ask questions. Is it because of 'unconscious bias' or much more deeper? Is it because of targets set in performance management system to put certain people in 'development need' and unfortunately they are mostly BAMEs and perhaps over 50s groups? I am not saying we should give up on diversity. All I am saying that people like me are fed up of the jargons and setting objectives. We need real commitment and push from the top but it needs to filter to every level of the organisation. 'Unconscious bias' training, 'diversity champions' and getting to know your BAME groups are just not enough. We need to understand the reasons behind for example why out of 99 people almost half of the staff are from BAME background. If we do not dig deep into those figures we will not have answers to tackle the diversity issues. Another issue we must not forget is 'bullying'. This is endemic in certain organisations and divisions. This must be equally dealt with otherwise we will fail lot of our staff who suffer silently. Joe Dugdale, on behalf of HMRC, said that these disparities were 'small' and could be easily explained by 'demographic differences'; not only are they large, the demographic differences causing them are unacceptable even if easily explained. Doesn't he understand that it's these very demographic differences that we're trying to alter! The Civil Service has also said that it has stopped analysing 'one staff characteristics' (race, gender, age, disability, age etc.) and we are told that we must have them as a whole (Nov 14). What is wrong with seeing if women per se are being treated equally to men? We are told instead to cloud the issue with mumbo jumbo to detract from the clarity of a simple comparison. I'm not convinced that the problems are only cultural - they are structural too: broadly, changing the attitudes of minions will not generally significantly affect the huge differences in mobility, recognition, treatment and award which are governed and prescribed by strategic management. Recently, the Civil Service quite rightly recognised the hard work that some employees had done towards promoting diversity and equality, but the irony is that their awards were bestowed by the very people who are determined to perpetuate the disparities and, moreover, do not ask themselves why such 'hard work' should be required to alter the practices of a public sector body in the first place. To me, that is implicit verification that strategic management is not co-operating on the matter. Still, it could be worse, one of my relatives worked for very large international company who give patronising 'black achiever of the month' awards (feels like a master judging varieties of dogs at Crufts) and no corresponding white achiever award. Let's hope that we never do this. The idea of race and diversity has been in the news regularly, however it will only take leaders like Richard to actually achieve a fair and racially diverse workforce. As a new starter within the Apprenticeship programme there was great emphasis on race and the issues linked around it. But yet at the induction event it was noted by the speaker that as a group we were still not as racially diverse as we could be. This is particularly evident within my department and training group where the typical subculture linking to race is evident. Also it is interesting to note that where the apprentices were split between departments, there was definitely groups of similar people going to their respective departments. This means yes, we recruited as a lower than expected racially diverse group and we are being further being split into certain race groups, according to recruiters within a department. However the civil service definitely has a more racially diverse workforce than most but there are definitely more steps to take. I have a psychology degree. And was aware of the original Jane Elliott studies in the 60s and 70s. In terms of performance, the most scary element of these original studies, was how quickly and the extent that children conformed to others' views of their ability. So, the quiet, blue-eyed kids performed better when they were told they were superior. And worse when their self-perception was turned around. So, for the performance management process, what's the likely impact, when people are told they 'Must Improve'? Probably far from the desired result. And I do think the documentary that this blog links to, was entirely unethical. Psychological pain stimulates the same areas of the brain as physical pain. And the ends don't justify the means. It’s already been said but is worth saying again; your words are refreshing and encouraging. As the first national Chair of RESPECT (NOMS BAME staff network) I coined the phrase, ‘Only action gives life to good intentions’. I mention this because I was speaking about race to a NOMS colleague earlier today and we talked about your blog. At the end of our brief chat we had to remind ourselves that ‘when those with power want change, change happens, and when they don’t …!’ So the question is, do those with the power in the department want a change of culture or will change continue to be left to those with little or no power? Just to be clear (and potentially career limiting), when I talk about those with the power I’m talking about DGs, Deputy DGs, Governors, Deputy Governors and SCS. These are the individuals who have the means to communicate widely, the power to influence, and the authority to direct. Your 3rd bullet point suggestion would, in my view, be a good starting point for them, particularly as it would make your 1st bullet point unavoidable. RESPECT and PROUD have, over the last 15 years, had a real impact on promoting race equality and challenging racial discrimination in NOMS and MoJ. However, over the past 5 years both RESPECT and PROUD have learned that there is a direct correlation between effectiveness, resourcing, and management support. Departmental downsizing activities are about to start. If the inevitable ‘downsizing discrimination’ of BAME staff is to be avoided, those with the power need to start using it in the right way now. I wonder what the stats will tell us once the downsizing is complete? Can we dear hope that the context of your blog will not be equally true in 5 years time? My own experience as a civil servant [38yrs and counting] has convinced me that when ‘those with the power support those without it, diversity increases, inclusion improves and the business thrives’. Let’s make it happen, because we can!!! Sharp intake of breath….exhale slowly...pause… It's ok to talk about race! I acknowledge the opportunity to talk about ‘race’ in this fashion but to be honest, I always talk about it…and not always negatively. After all we are referring to ME; because people talk about things that matter to them. I acknowledge your openness and real commitment to make a difference as a race champion Richard; putting your head above the parapet and publicising what I have heard you say and as a bold challenge not only to the majority group, but it also got me thinking about what the minority group could do to support themselves, so I hope you find this helpful! Value: We are qualified, skilled, knowledgeable, competent and experienced and we add value to this organisation. How do I know? We all applied for our job, went through a competitive recruitment process where our qualifications, skills, knowledge, competence and experience lead to our selection for employment. Once a month we are remunerated for our expertise and services; we get paid! However, something happened along our career journey. Someone, usually a manager forgets the characteristics that successfully brought us into the organisation and over time, we also forget. Cause & effect: The official SPDR process disproportionately endorses the view that BAME staff are ‘JUST NOT GOOD ENOUGH’ and receive a ‘MUST IMPROVE’ marking. Challenge a ‘must improve’ marking and we face the weight of policy that further re-affirms our ‘inadequacy.’ This experience occurs in education, the police force and the private sector. When we see and hear messages consistently affirming that we are not good enough and watch in many cases the not so capable majority group honoured with ‘exceeded’ SPDR markings, moved into unadvertised positions and manage moved as well as given higher level work experience, it is little wonder that we start to inadvertently let our guards down and become 'incompetent' - self-fulfilling the prophecy. We become worn down, ill and damaged by the racist, discriminatory behaviuors and attitudes, and the daily slights demonstrated in micro-aggressive communications, legitimized through the scientific notion of ‘unconscious bias’. What are we going to do about it? Solution: Let’s stop beating ourselves up and suffering in silence. Let us recognize a few rules that should also apply to us: A manager develops and does not destroy, values the skills of all colleagues, whatever their grade and brings all staff to achieve the business aims together… A leader is someone that we want to follow. A leader inspires. We all need a little EARNR. I developed and use this model with individuals and groups that I peer mentor in NOMS, MOJ and other organisations to develop and grow. Critical lived experience - your experiences, good or bad are important and can be used as a stepping stone rather than a stumbling block! R- Reflection - How did you deal with similar experiences? How did you feel? What impact did you have? Did you challenge in a productive way? That's it. Ask for help if you need it, be the best that you can be and remember the specialist tha was recruited is still inside our you - release your potential! The UN says that racial differences are a myth and that there is only one race, the human race. In light of this, I'm not convinced that talking about this issue is actually very productive or leads to positive outcomes. If anything, it encourages people to view themselves as different from others. Let's just treat people as people, and judge them on their individual merits. It is welcoming and encouraging to see a positive move from senior managers to ackowledge that those from BAME backgrounds are treated differently. Its a sad state of affairs when we are 50 years into the Race Relations Act that senior managers as an organisation are now actively doing something about it! As a professional from a BAME background i am appalled that there are very few people from such backgrounds in position of management, particlaurly in HMCTS. I cant comment for other departments. Within the legal teams there are many able and qualified people from BAME backgrounds however our work is not recognised and we are never encouraged to apply for any development opportunites (those are few and far between in any event!!) . One colleague asked a manager to support her application for a legal team managers position only to be told 'i cant support you as your face will not fit'!!!! She left the organisation soon after! a loss to HMCTS of a highly qualified lawyer. I beleive that any organisation should reflect the community it serves and the people that it manages- sadly HMCTS does not!!! In an area of the North East with a large asian population there isnt a single manager within the Legal team from BAME background. Within HMCTS i am of the view that 'if your face fits' you will get far! For that reason i will not apply for any management roles! The hard work of BAME colleagues is not recognised- the same people from white middle class backgrounds continue to get 'outstanding' at the end of year review when they have done nothing over and above from the year before. Yet my colleagues and i are having to fight to try and acheive that! Good luck to Richard Heaton! Richard, my name is Ruel Cole, I work at Loughborough Contact Centre. It is said that honesty is the best policy, and this has always got me into trouble. As the civil service Race Champion you have an up hill battle ahead of you, with lots of obstacles that will be in your way. Whilst some progress has been made regarding Equality, Diversity and Inclusion, in the last 50 years since the Race Relations Act. The unconscious bias and attitude of some staff within the civil service will never change to embrace equality and diversity no matter how much promotion and man-hours the department does in the years to come. I am fully supportive of the good work you are doing in all your roles, I am happy to give you any help as well as advice on Race Relations and Equality etc. Richard, did you know that unconscious bias within the working environment, leaves people working in fear and causes stress? How about a couple of other 'isms' that are prevalent in the Civil Sevice, but rarely discussed & considered. Ageism and gradeism to name but 2, but perhaps they are not fashionable!!!!!!! I have been black for half a century, born and raised in the UK man and boy, I wish people would stop talking about race, if you want to promote me promote me, if you don't, don't, please don't refer to me as a BAME, if you think I have something to offer in a given role give me the job, if you're employing me to make your office or organization more colourful, please don't. Perhaps people could pursue their obsessions with race in their own time. Anoher 'elephant in the room' is class. As the civil service becomes an almost entirely graduate entry profession (in London anyway), the balance between middle class policy makers and working class entrants (often non white) is palable. Working class (White and BAME) colleagues face all the difficulties discussed in this thread, however, the 'double whammy' of class is often ignored. How can the Civil Service serve the whole community if so much of it is dominated by non BAME, middle class people whose experiences will never mirror those of the many of the people they seek to serve? Resolving the class issue wil go some way to doing the same for many of the BAME issues. If staff have been recruited on the basis of their ethnicity and not on the basis that they are the outstanding candidate in the recruitment process- then it stands to reason that their performance is more likely to be less than outstanding. I'm sorry but all of this is just spin to make it look as if those at the top care. What's worse is that the spin continues to be spun in the face of incontrivertable hard evidence of discrimination occurring on a regular basis. I refer of course to the fact that almost every department continues to support the use of performance management systems which exhibit strong evidence of adverse impact based on ethnicity and other protected characteristics year on year. And each department continues to use them whilst regretting the outtcomes and wishing that something could be done. If anyone at a senior level in the civil service was serious about tackling discrimination - rather than just being seen to be making all the right noises - then they would refuse to sanction the awarding of bonuses or the use of performance management systems which systematically award the bonuses predominately to white staff and identify weaker performers as predominately BAME staff. Here's a thought - if we are going to award bonuses then adopt the John Lewis model - where all satisfactory performers share in the bonus - until we get to the bottom of why the systems we have are so poor at assessing performance. Surely this all highlights how inherently unfair the current box marking appraisal system is. The appraisal system holds great fear for many staff, whatever their ethnicity and the previous system of 4 box marking levels was much fairer and only those that were definitely under performing went into the bottom box. The current appraisal system is also discriminatory against part time workers, many of whom are women and/or disabled and/or older workers and/or from an ethnic minority. We are told time and time again that there is no quota for the bottom box marking in the appraisal system, yet there is no question that senior managers are applying a quota as I know that line managers in many offices write up a list of their staff in potential appraisal marking order and present that list at an end of year meeting where the expected quota of 'must improves' for that office must be decided upon so that the yearly sacrifice to meet the 10% 'expectation' can be achieved. The discredited 'curve' appraisal system lends itself to that approach, as does the end of year meeting between line managers when a discussion takes place about staff who are borderline between box markings and decisions are made about who will be the box 1s and the box 3s for that office. It was descrbed to me as a 'bun fight'. For an appraisal system to be so discredited but to be continued with is a disgrace. Richard Heaton acknowledges it can be discriminatory, so introduce an appraisal system that is fair. There can be very little difference in achievement between one member of staff in a box 2 and another in a box 3, with managers struggling to come up with differences that would justify one member of staff being put in the bottom category. It's a detested, devisive, discriminatory, demotivating, time consuming, expensive appraisal system that SCS insist on sticking to, but is a stick that staff are regularly hit over the head with as a threat. Until the appraisal system changes to a 4 box system and gets rid of the application of the 'curve', discrimination in all its forms will continue. If the appraisal system is wrong, talented staff who feel discriminated against will leave and staff with great potential will not progress. Unfortunately no-one is listening. A few years ago a senior manager asked me what I considered I was good at. I replied that I was good at negotiation, assessing people’s strengths, planning and designing ways to help them develop and grow at work. She looked me directly in the eyes and affirmed that there were no such jobs in her team along those lines. So I agreed with her when she said I should consider leaving her team because it was not working out. It took me a year but I found myself another job, helping people to realise their potential and move towards their identified goals. However I wonder about such managers, if something is missing from their toolbox of career skills. If these types of managers (of which there are many because they continue to mismatch BAME staff talents to work tasks and then label them, through the appraisal process as ‘must improve’) have little vision. Perhaps it is not vision that they lack but Emotional Intelligence (EI) or at least the five pillars that make up EI, because managers who have emotional intelligence have people skills. They can assess their staff, build honest relationships with their diverse staff group and use all of the information gained to match staff to work and get the best out of their staff team for the good of all; including the organisation. An emotionally intelligent manager will have self- awareness, they will know why they taking the actions they are taking and how their actions impact on their staff. I think that connects with unconscious bias. Such managers will know how to self-regulate; know how they feel about their staff and recognise when they are engaging in power-struggles with their staff or if they as managers are exhibiting back stabbing behaviour that are not supportive of staff or portray them (the manager or the civil service) in a less than positive light. Dare I say that a line manager who has emotional intelligence will have empathy for those they manage? They will be able to show compassion for their staff especially when they are struggling with work and need extra support and information in order to successfully deliver a piece of work. The fifth pillar is motivation but I fear that in the civil service we have lots of the wrong type of motivation like the ‘wrong snow’. Perhaps we have managers who are motivated by money and title and not resilience or a passion to make change happen. Wendy Dugba, Registered Counselling Psychologist, RESPECT HQ Committee member. Richard many thanks for consistently seeking to raise the bar on advancing Diversity & Equality within the Civil Service, and for highlighting the relevance of addressing unconscious bias behaviours. 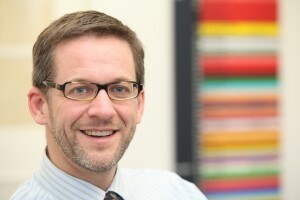 I hope you will continue to challenge the accepted norm and that your stance encourages others at all grades to stand-up and take note on changes required to the existing culture, to engender an organisation that embraces and nurtures all within its employ, including those from diverse backgrounds. A few years ago while working in the Home Office I commented one day, in passing, that a colleague (who was black) had a habit of walking around the office with a very suspicious look on his face, as if he was a detective searching for clues in a crime scene. This was something I had mentioned to him previously and he laughed in response (we were good friends). The lady sitting next to me, who was also black, then launched into a tirade about 'white people' always assuming that black people were up to no good. I was quite literally lost for words, both because it was abundantly clear that I was suggesting no such thing, and because I realised that I was going to dig myself into a hole by saying any further. I have found that it is apparently perfectly acceptable for people to discuss 'white people' as a homogenous group, as if we are all the same, but the smallest (perceived) slight in the opposite direction brings the proverbial ton of bricks. This is NOT equality. Richard, I would also like to add that as an active member of the RESPECT Staff Network (BAME staff in NOMS) I welcome your thoughtful article on the issue of talking about race. As you are aware RESPECT and our sister Network PROUD (BAME staff in MoJ) have been engaging you on this issue since your appointment as our Permanent Secretary. I am in total agreement with the comments made by my fellow network members; Rob Neil and Paul Haughton on the way we can move this agenda forward in a collective partnership which involves all staff networks. It's good to know that race inequality is recognised within the CS and that steps are being taken to amend it. Well done. Inequality is definitely an issue in the CS - the statistics don't lie - but let's have more than just looking busy and getting nowehere. I really wish I could be more enthusiastic, but having witnessed the maneouvres that are made to ensure that desired outcomes are realised, I see a long long way ahead before the behaviours and attitudes emerge that would naturally bring about fairness where it matters most to make a real difference. This isn't always unconscious bias, it is contrived bias and one that is very difficult to deal with. On a personal note, I am pleased to see the foundations of change taking shape. It is probably too little too late for me, but I so desperately wish that it will be better for the generations to come. I think we also need to be careful about language, the use of 'they' while recognising that many at the top of the Civil Service are from white, traditional backgrounds, only serves to create a distinction between non BAME and BAME communities and also fails to recognise the existence/ work of those inside the civil service who are from BAME backgrounds and are also part of the 'we'. I was also surprised to see the brown/blue experiment mentioned - the original being from some time ago - but also recognising that issues of race, ethnicity and culture are far more complex. Talk about race? The idea of race is that humanity is divided into various distinct groups that we call racial groups, Negroid (black), Caucasian (white) and a couple of others. It seems that we both want to talk about race and not talk about it. BAME is a euphemism for non white, or am I wrong? If it isn't what exactly does it mean? We're certainly not talking about religious differences or are we? Most black people are Christians, and if we wish to opt out of our BAME group, how do we do that? We can't. Could this open the door to positive discrimination? Or indeed is this positive discrimination full stop? Richard’s commitment to genuine fairness is very commendable. Perhaps discrimination might always exist to a lesser degree. Colleagues could be taught the best ways to overcome such barriers with a covert coping strategy. Before achieving my most recent promotion in 2015, I was unable to progress beyond my current grade for 12 years. The failure rate for my job applications was very high, outright rejections for 3 out of 4 jobs. There was no consistency in marking my competency applications. Every business unit applied wildly different standards for the same grade, despite them using the same competency framework and me making numerous improvements in response to feedback received. Some of that feedback helped, whilst in other cases, applying their advice sometimes led to even lower marks. I was fortunate enough to be advised by a sympathethic Grade 7 ethnic minority role model beyond my line management chain. He was a highly experienced recruiter, who taught me how to best mitigate subjectivity in job applications and at interview. I would not have progressed without his invaluable advice. I then widened my job search beyond my own Department to across the whole Civil Service. Indeed, I applied for 43 jobs in a 12-month period. I never lost faith in my own capabilities, but the key to retaining that confidence is to get support from those who truly believe in your potential. So yes, there are people out there who really do care about fair opportunities for all. Welcome to the Ministry of Justice. Thank you very much for your vision on trying to drive through challenging work on race within the department. I have read some upsetting, interesting and funny comments above. I think the media has a huge impact on the human minds which includes a huge amount of ignorance mixed with a generational strong hold on some of our lives. I particularly do not like the words BAME or unconscious bias. The word unconscious bias makes me feel quite uneasy. With my best wishes. Using bias to correct bias - curious! Trying to correct attitudes some stemming from upbringing is not straightforward and doing it artificially is just that - a pretence, a facade. Root cause is key; I am not happy with positive discrimination, because it presumes inequality where it may not exist and does not necessarily solve a perecived problem. Positive discrimination may be unfair, especially if wrongly applied - quotas are awful, simplistic, crude. Use of "BAME" grouping is arguably itself discriminatory and perhaps even unethical, separting people out instead of uniting! A lot of it seems to be visually based and hence superficial. What about other nationalities where no visual distinction, e.g. Scottish, Welsh, German, Australian - someone could be anti-Scottish or anti-English - how is this covered? You could make a difference by not referring to individuals as "they" or "them". I completely agree with R Singh and various others. I'm a C Singh but actually of Italian descent my parents having left 50 years ago. My husband is of Indian origin but his family left India 150 years ago for Jamaica. My mother-in-law is married to a Scottish man. My husband does not see himself as of a particular colour/race and has never noticed any kind of discrimination due to it. His brother, on the other hand, is more aware of his colour/race and has more perceived discriminatory issues relating to it. I never fill out ethnicity data for either myself or my children. We are all more than a tick or a label can describe. Can we please stop focussing on diversity which drives people apart and highlights perceived differences which might not have even been at the forefront of anyone's minds and more on what we have in common? In years to come we will look back and think that labelling people as BAME whether they like it or not and as if that is all encompassing of them is a ridiculously discriminatory way of fighting discrimination. Education is not a protected characteristic though, so when job descriptions are created and a degree is listed as essential when it really is just desired we have a problem. "I have been black for half a century, born and raised in the UK man and boy, I wish people would stop talking about race"
I have been 1/2 black for longer. For me it is about the bigger picture. Experience tells us that there are people institutions who do not let people prosper for whatever reason, including bias or discrimination . Anyone prepared to do something to mitigate the effects of their actions deserves support. I fail to see how being silent about such issues would be helpful.We have won battles like getting rid of colour bars, banning us from applying for jobs or housing. No one can now refuse us goods or services on the basis of colour Public institutions recognise that black people should receive the same level of service as anyone else. Do you really think your rights could have been defended if people were silent on the issue of discrimination? "Another 'elephant in the room' is class. As the civil service becomes an almost entirely graduate entry profession (in London anyway), the balance between middle class policy makers and working class entrants (often non white) is palpable." This is fair comment. Something I have observed myself to some extent in the Civil Service. I wonder if our performance management system , the competence framework and to some extent or recruitment policy has a kind of Whitehall model civil servant in mind, quote divorced from the experience of frontline staff, whose jobs don't necessarily provide a portfolio of work that than cover the range of competences covered in the framework.I found class difference very palpable in the Armed Forces Reserve back in the day, who seemed BAME friendly enough, but uncomfortably riddled with class snobbery. "If staff have been recruited on the basis of their ethnicity and not on the basis that they are the outstanding candidate in the recruitment process- then it stands to reason that their performance is more likely to be less than outstanding." What you are asserting doesn't exist. It is in fact unlawful to recruit on such a basis. This is basic employment law and I am surprised this view is still circulating in Civil Service discourse. "I think the media has a huge impact on the human minds which includes a huge amount of ignorance mixed with a generational strong hold on some of our lives. I particularly do not like the words BAME or unconscious bias. The word unconscious bias makes me feel quite uneasy. With my best wishes." I would agree about the effect of the media, for example, as I mentioned above, it is irritatingly commonplace for people to assert that (insert group here) are recruited via positive discrimination because of their race, gender etc. People who assert this may not know that this is utter rubbish of course ( there are laws against this practice) but nowadays HR focuses on diversity training, often done online, rather than workplace law and responsibilities. Such views are not uncommon in the media, so I presume that is where they get their information. This is troubling, because left unchallenged it leaves a minority of people having rather problematic views about women , black people, disabled people not having been appointed on merit. Race discrimination affects all, not just non-white people, that gets missed in the narrative, in my view, so I get what you say. However, given the dodgy PMR results over the last two years and issues with the earlier system I think it is as well to hold the Civil Service into account for the treatment of its non-white staff. I also dislike the idea that being rid of "unconscious bias" is the panacea for all ills. It doesn't address issues of conscious bias or problems with our HR systems themselves. The over-the-top, politically-correct culture of the Civil Service is out of touch with the wishes of the majority of tax-payers, who require us to work hard and efficiently in jobs that have real value. The Civil Service is widely disrespected by the public we serve. It would help if we shelved this endless focus on race, gender, sexuality etc. etc.. and got-on with our work. The problem is, Mark J that some groups are not allowed "to get on with our work" and are seemingly shut off from receiving performance pay, promotion, or indeed are unfairly described as needing improvement in disproportionate numbers. These issues need fixing ,and the Civil Service has a duty to fix them like any other employer. As an employer the Civil Service does not have the luxury to pretend otherwise and I can't see how the anomalies thrown up in PMR and recruitment data can demonstrate efficient use of human resource.